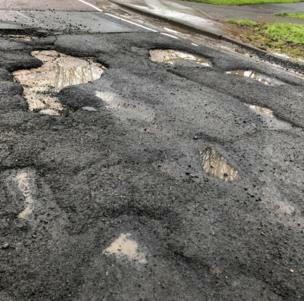 The RAC has recorded a spike in pothole-related breakdowns in the last three months of 2017. But how bad are the potholes where you are? Robert Graham sent in this photograph of the C33 near the village of Brundeanlaws in the Scottish Borders. Robert says this is the only road connecting a number of rural communities to the rest of the road network. 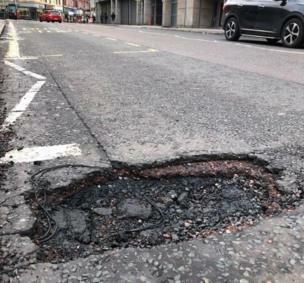 Dom Howell said he was "quite taken" with the size of this pothole in the Partick area of Glasgow. Dom points out there are "literally cables hanging out of this beast." 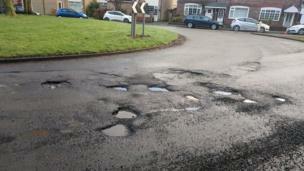 @cartwrightian tweeted this image of an archipelago of potholes at a roundabout in Altrincham, Manchester. He also noted the local roads made him worry about his suspension. 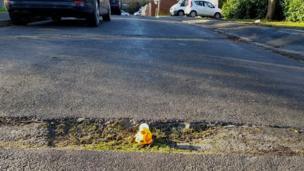 Meanwhile, @Barzi28 used a rubber duck to highlight this pothole in Guilford, Surrey. "Hitting a pothole on my bike landed me in hospital recently," he said. 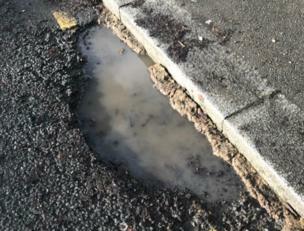 Michael Devereux took this photo of a deep pothole in Oldham. Michael urged the council to fill in the holes before somebody drowned in one. 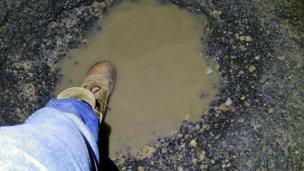 Paras Jethwa took this photo of a pothole in Reigate after damaging his car tyre. 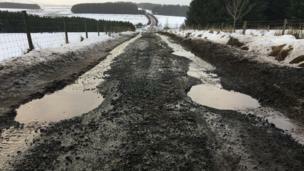 He said the road resembled the "surface of the moon".